Not Being Taken Seriously? If we are remotely doubting our own gifts and abilities we could be sending out the wrong message! In order for others to value our work we need to be in total alignment and trusting our own process. 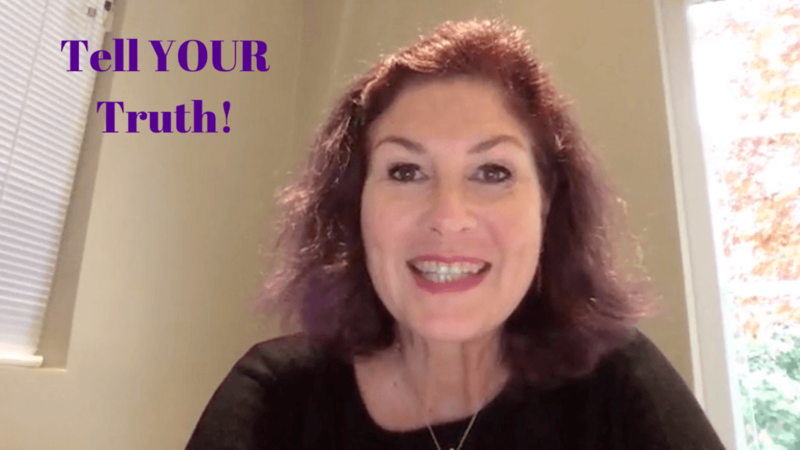 Let me help you get to the roots of whatever it is that’s holding you back from shining your brightest light! 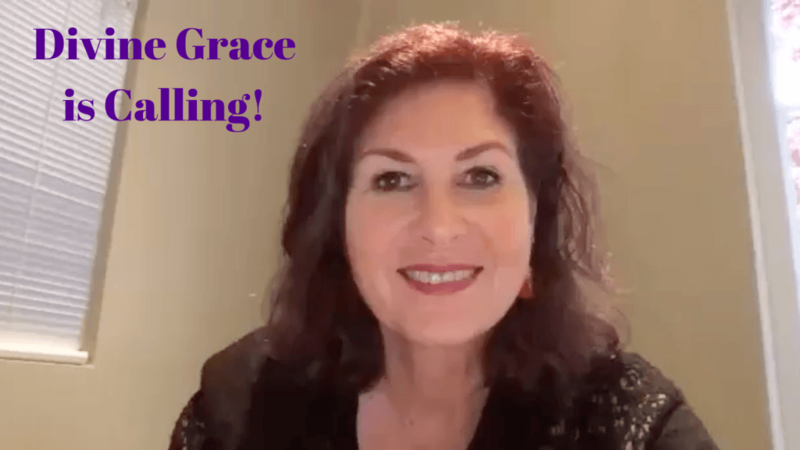 Live Testimonial with my lovely client Ginny de Ledesma. Why belief work is so important and how it can change your life and the lives of your clients. In the past ten years it’s become a rather trendy thing to run off to the Amazon jungle and take Ayahuasca. It is advised to experience the magical vine in a proper sacred ceremony with the intention of healing under the care of a qualified Ayahuasquero Medicine person….but sadly many don’t. 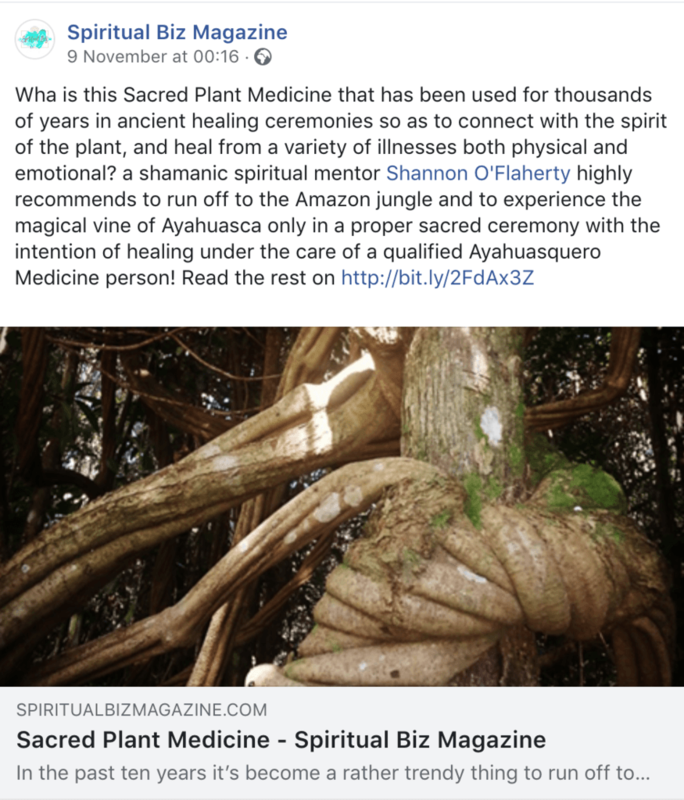 Taking plant medicine is not done for a “cool trip,” it has been used for thousands of years in ancient healing ceremonies so as to connect with the spirit of the plant, and heal from a variety of illnesses both physical and emotional. It is not an easy way to heal. Ayahuasca is a vine (Banisteriopsis caapi) that grows in the Amazon jungle and it is mixed with a few other ingredients, chacruna leaves (psychotria viridian) and sometimes mapacho, a kind of tobacco. It depends on the Medicine Person’s preference as to what goes into the mix. It is all brewed together over 24 hours while the Ayahuasquero prays over it. The purpose of Ayahuasca is to experience a little death so that death no longer has it’s grips on you so you can live your life fully free from the fear of dying. It is a purging medicine and highly hallucinogenic although you never lose your consciousness, despite the potential “reality” of some of the visions! The Ayahuasquero sings calling in the plant spirits and the healing Gods to assist people in their process. After about 20 minutes usually the first feeling is a distinct ringing or rattling in your ears, as if you are hearing the hum of the universe. Then you may feel dizzy and nauseous and will probably throw up. Depending how toxic you are, or what you intend to release you may be sick for the entire 5 or 6 hour ceremony! Each person sits in their own space with a bucket for releasing. No one talks to each other, you simply go within and perhaps experience the most beautiful psychedelic visions with inter-dimensional colours, or you’ll see more shamanic visions of plants, creatures and spirits. Maybe you’ll get a story. It’s different every time. You always remember exactly what you visioned the next day. Sharing your process with others is a very important part of the experience. A cross section of the vine. It is often referred to as a flower. I lived in the jungle with a Shipibo tribe for a month drinking the sacred brew every other night. I struggled with it considerably. In retrospect however, the visions and realisations I came away with were nothing short of profound. I was on my shamanic path so I thought ayahuasca was part of the calling, but it was never really my medicine. 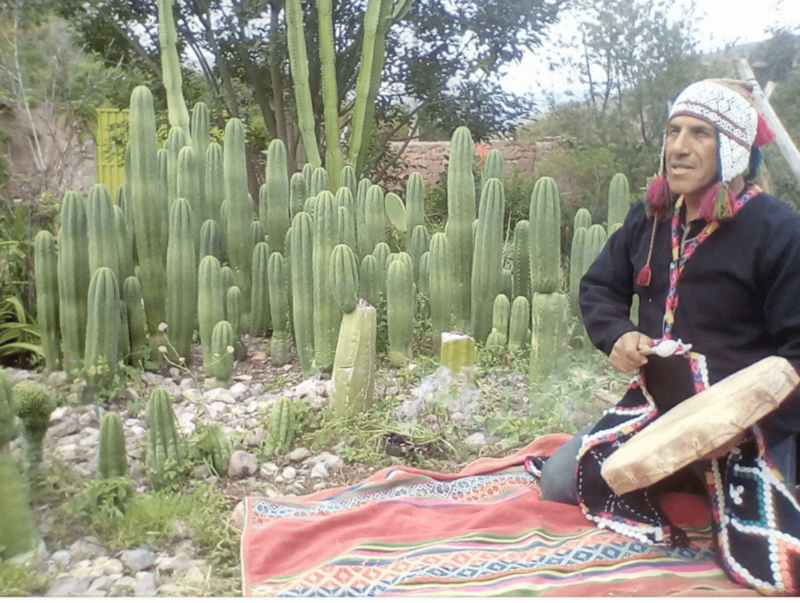 Soon I experienced San Pedro otherwise known as Huachuma which is a mescaline based cactus (trichocereus pachano) that grows in mountains of Peru. Then everything made sense to me! This too is a purging medicine, although it is much more gentle than ayahuasca, not nearly as rough to swallow, and usually the purging happens in the beginning and then it’s smooth sailing…well, for me anyway! Like with any plant medicine you set your intention clearly before you enter into ceremony, and work with a Master. My San Pedro Master Freddy in his sacred garden. Whereas ayahuasca is very earthy, San Pedro is very celestial and connects you to every blade of grass on earth and every star in the sky. When you experience it in the day time, you can see the personality of plants and visually experience their interaction with each other. It’s fascinating. Often your visual lens will be filled with little rainbows everywhere. You can easily walk along a narrow mountain path under a moonless black night sky staring up at the stars because you are so connected to the earth. It seems to carry you. I think everyone in the world should experience San Pedro. It’s called that because St. Peter holds the keys to Heaven and like San Pedro opens a gateway for us to enter into Divine Connection. It feels more friendly than Ayahuasca because you can sing, talk, hike and dance with the fire while communing with nature and the elements in the most natural way that changes your connection to the beautiful Pachamama forever. 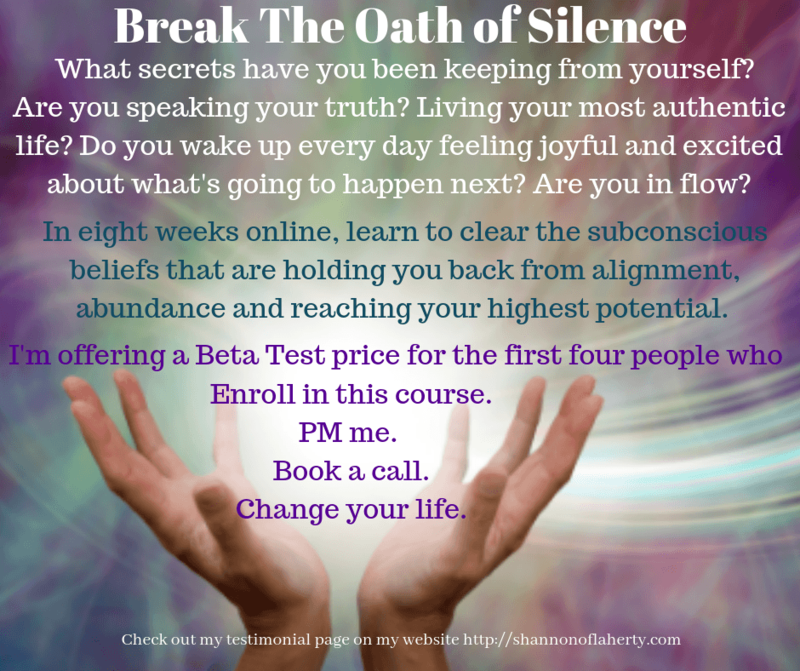 Break The Oath of Silence! Healers tend to suppress their natural gifts, hide from their shining light, dumb down their abilities to seriously help people. They are so afraid of being fully seen in all their power and glory for past life fear of being tortured or burned at the stake among many other reasons. If you are being called to be a healer in this life time, it is an HONOUR to work with Divine Grace and create ripple effect on the planet. Why stay stuck in fear, lack, scarcity, excuses when you can finally heal that last illusive piece and shine? Your clients need you! The world needs you, and God needs all of us to help make a difference. We’re all in this soul family for a reason! Contact me and let’s meet again in this lifetime and make some magic happen together!